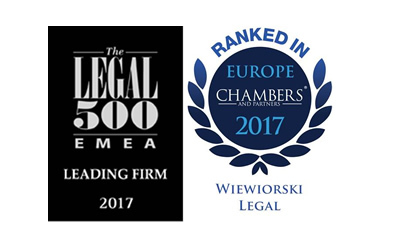 We are very pleased to inform you that Wiewiórski Legal has received recommendations in the two most prestigious international rankings of law firms: Legal 500 and Chambers & Partners for 2018. 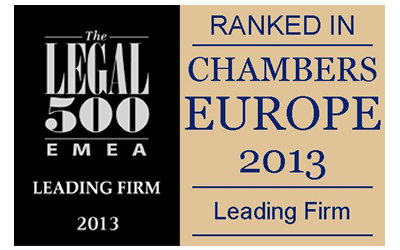 It is the sixth year in a row that we have been recommended. 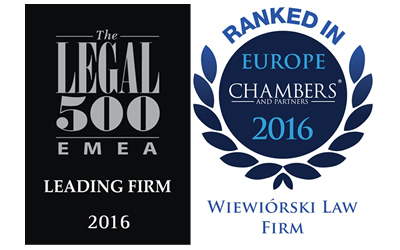 For the first time we have also received a recommendation in International Financial Law Review (IFLR1000) in banking and finance category. 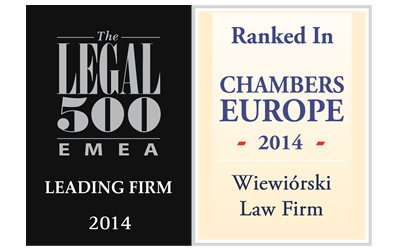 and is the only Wrocław-based law firm to be recommended by Legal 500 and Chambers & Partners. 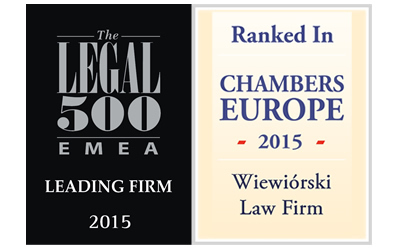 In addition to this, all our lawyers being heads of departments are personally recommended in the rankings. 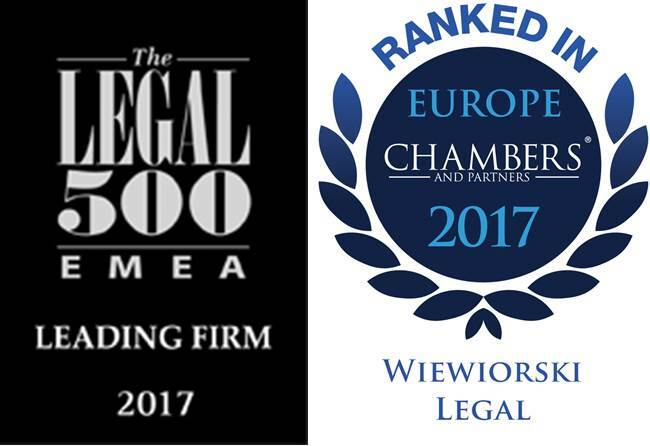 We are glad that our philosophy of top quality of each and every action and the commitment our lawyers put into their everyday work have been noticed not only by our Clients but also by international specialist publications. We believe this success will contribute to the continued growth of our Law Firm and allow us to offer even better support for the businesses of our current and future Clients.